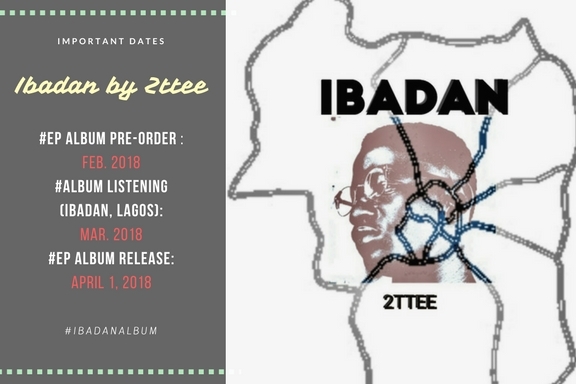 We are excited to write about our ongoing music project with 2ttee aka Oladeji Taiwo, who recently disclosed on social media, the release date of his new Ep album titled ‘Ibadan’. The music artiste has been on studio tour in Lagos state for almost a year now, working with the finest music producers that represent his style. The album is currently on pre order on the official album page featured on our platform. The album listening party is being organized by the Telepse team as a great hangout evening event. The party would hold on the 31st of march in Ibadan city, Oyo state and media personalities are expected to be in attendance. The album listening affords us the opportunity to reach out for artiste support from fans and to receive useful feedback on the album. Are you planning to come down to Nigeria to experience the listening party? No worries, we have you covered. Please visit TIMBU to plan your stay. Pre order the album here you get an exclusive invitation to the listening party, you also get to support 2ttee to promote the Ibadan Ep album project.